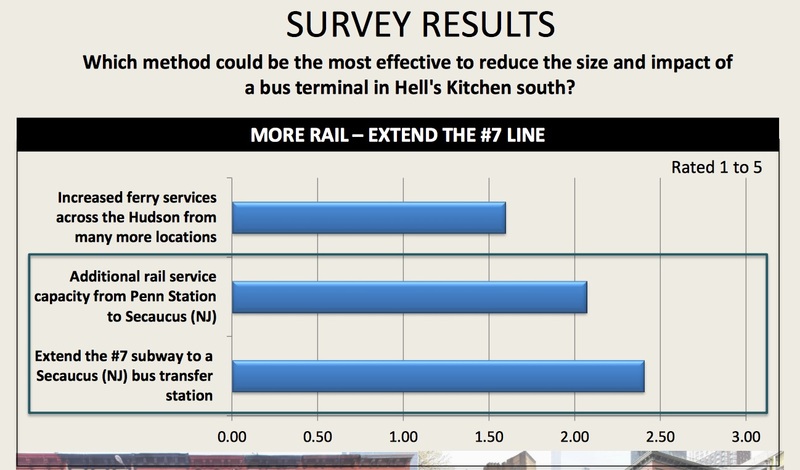 Through a very successful town hall meeting and a survey at the end of 2016, CB4 gathered our community members’ opinions which were presented at a well-attended February 9th meeting of the Hell’s Kitchen South Coalition. See some highlights below. We encourage you to look at the whole presentation which has a lot of valuable feedback. 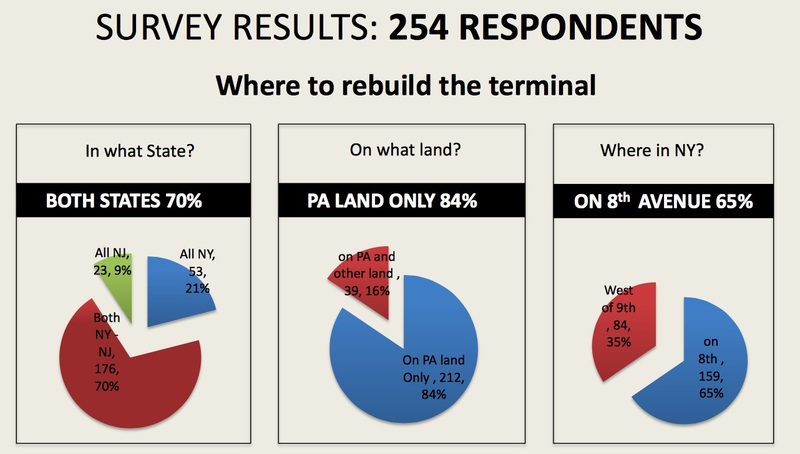 Based on this input and other intelligence , in March 2017, CB4 jointly with CB5 sent a letter asking the Port Authority to study the creation of a PA7, a path like rail line that would be connected seamlessly with the #7 effectively creating an extension to the #7 line. Such a facility would provide 45% of the increase in capacity the Port Authority needs to satisfy the growth in bus riders. Cb4 is further preparing a letter to the PANYNJ with guidelines for redeveloping the Port Authority Bus Terminal. It is timely because the Port Authority Board just approved a $ 70 million project to study the developemnt of the bus terminal and staging facilities . Fortunately the Chair indicated that this will not be the only project and that any other project that helps satisfy future demand for Trans Hudson capacity will be considered. We also understand that a joint meeting with New Jersey maybe in the works. 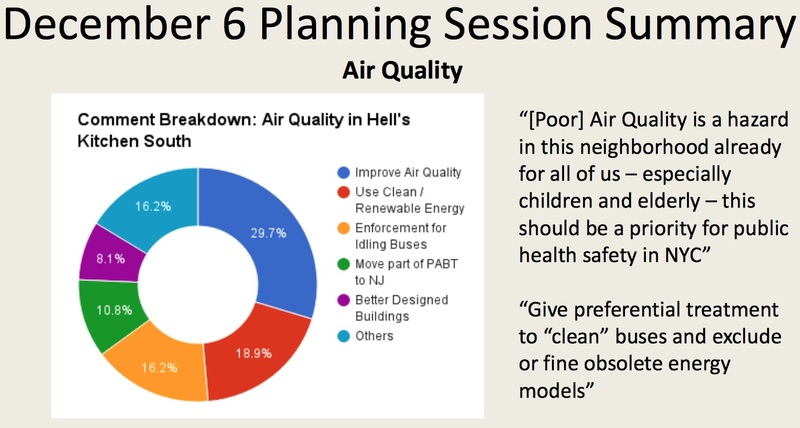 This entry was posted in CHEKPEDS, Clean Air, Congestion, pedestrian, Port Authority, Transit. Bookmark the permalink.